“BP misled investors about its safety procedures and its ability to respond to events like the ongoing oil spill and we’re going to hold it accountable. "…According to the Financial Times, there are over 150 class actions against BP filed by US attorneys reaching far beyond just securities. 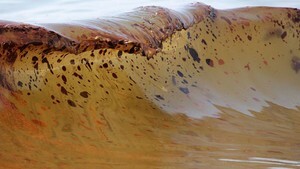 A class-action lawsuit is in the works against BP and its plunging stock price after the Gulf oil spill. The New York state pension system plans to initiate a lawsuit and now there is word that Rhode Island's public pension fund may join the class-action lawsuit when it is instituted. Other states are also joining in including California and Texas. A report in the Financial Times on Thursday said that the NY state pension system plants to initiate the lawsuit against BP. Thomas DiNapoli, New York state comptroller and trustee of the $132.6bn pension fund stated that “BP misled investors about its safety procedures and its ability to respond to events like the ongoing oil spill and we’re going to hold it accountable." Once filed, states such as Rhode Island may not see the recovery of any losses for a long period of time. Still, they will follow the lead of other states who are filing. “Once it’s instituted, we will [join the lawsuit],” Mark A. Dingley, chief of staff to General Treasurer Frank T. Caprio told ProJo.com. “We’re not taking a lead role because we haven’t lost as much as some of the other funds." According to the Financial Times, there are over 150 class actions against BP filed by US attorneys reaching far beyond just securities.